Successfully Added 7M Pixel Zoom Digital Camera - 1/2.5 Inch Panasonic Sensor to your Shopping Cart. Great Palm sized 7 Megapixel Digital Camera with 4x Digital and 3x Optical zoom and a 1/2.5 Inch Panasonic CCD sensor. This Digital Camera is a great choice for any customer who wants to take quality digital pictures (up to 12M Pixels interpolated) while they are on holiday, at events, or just find themselves in interesting and memorable situations. An added bonus to this full equipped camera is that it uses AA batteries so that customers may easily power this item while on the go. 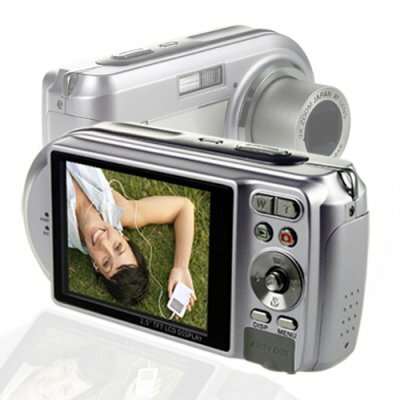 This 7MP Digital Camera is a wonderful choice for any person; from the modern camera enthusiast to the casual photographer.. If you wish to make comments or reviews about this product, please use the product review. Please open an inquiry ticket if you have questions about this item..